The Rogues Gallery on the web has a special spot reserved for hackers. At the top. Far ahead of trolls and pirates. Hackers have also been romanticized over the years by media and movie moguls. A “Gary McKinnon” may not be a known name like “Lisbeth Salander”, but their collective group has fed our pop culture. The former name is real, the latter is pure fiction. But hacking is a legitimate career choice Tech Jobs of the Future: What To Study If You Want a Cool Job Tomorrow Tech Jobs of the Future: What To Study If You Want a Cool Job Tomorrow If you're a student and looking to land a good technology job of the future, understanding the direction of technology will help you position yourself to succeed, and figure out what to study to get... Read More now. It is a shingle on a cyber expert’s door. Some of them might even read – Ethical Hacker at Work. Future proof yourself with a career in information security. Thanks to the gradual initiation with these five online courses on Udemy, you could be at the vanguard of Internet’s security. Key Takeaway: A basic introduction to online safety. I am assuming this is your first contact with a security topic. So, there is no better way to start other than to do a self-audit on your own online life. 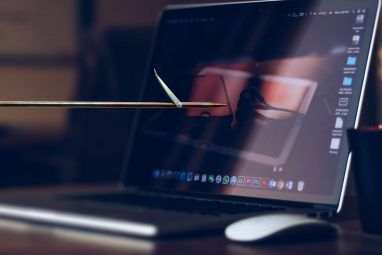 Internet threats like viruses, trojans, keyloggers, and the lurking phishing scam How Scammers Use Phishing Emails to Target Students How Scammers Use Phishing Emails to Target Students The number of scams aimed at students is on the rise and many are falling into these traps. Here's what you need to know and what you should do to avoid them. Read More target the average user. This is a basic security course and shouldn’t overwhelm you too much. You will learn common sense tips to stay safe online and common information on phishing attacks, data leakage, social engineering, safe browsing practices. It will also help you dip your toe into the water and see if the idea of security interests you enough. A more dabbling into ethical hacking or cybersecurity could be the next leap. Key Takeaway: Learn the practical skillsets needed to defeat online threats. Cyber-security is a rabbit hole. You must be agile as the landscape mutates around you. The world is terrified of looming threats from cyber criminals Why Is Global Cyber Security Confidence Falling? Why Is Global Cyber Security Confidence Falling? Do you trust cyber security in all its manifestations? Has there been a general decline in global cyber security confidence? And if so, how can that trust be regained? Read More . So, you should work with the same skillsets they do to stop them in their tracks. You have to be a cross-platform specialist and master the hidden pathways of the Darknet. And, get reacquainted with social engineering methods like phishing, SMShing, vishing, and identity theft. This is Volume 1 of 4 of the complete course. The four volumes will give you a solid platform to becoming a cyber-security specialist. Sounds like a lot. But even if you walk away, you will leave with a greater awareness of how to protect yourself online. In the coming days, it could be an invaluable lesson. Key Takeaway: Learn the ins and outs of penetration testing. You can be a hacker but work for the good guys. Your mission should you choose to take it will be to duplicate the actions of malicious hackers and find out all the security loopholes in the system. 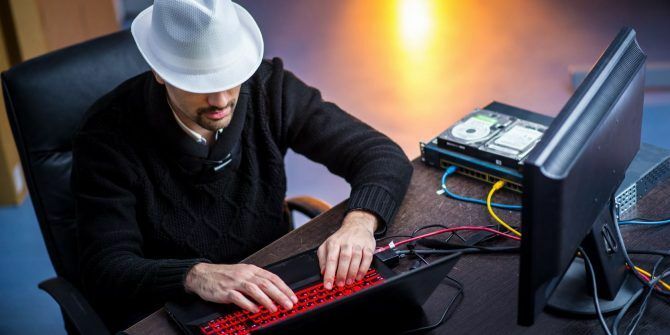 Cybersecurity specialists wear different colored hats. You will be called a “white hat hacker” and will get to keep your honor. Don’t worry, ethical hacking is a legal career Can You Make A Living Out Of Ethical Hacking? Can You Make A Living Out Of Ethical Hacking? Being labeled a “hacker” usually comes with plenty of negative connotations. If you call yourself a hacker, people will often perceive you as someone who causes mischief just for giggles. But there is a difference... Read More that even the NSA loves. This best-selling course has 55,000 students on its rolls. If you join in, the next 13 hours will take you through the ins-and-outs of hacking techniques like penetration testing. That’s the first lance through digital devices and websites. Students have reviewed this course well. This course was recently updated, so you can expect the technologies to be current. Key Takeaway: Learn ethical hacking on Kali Linux. Kali Linux is the favored platform for digital forensics. The specialized Linux based distro The Best Linux Operating Distros The Best Linux Operating Distros The best Linux distros are hard to find. Unless you read our list of the best Linux operating systems for gaming, Raspberry Pi, and more. Read More comes armed with more than 600 preinstalled penetration-testing programs and support tools. For instance, you can set up a virtual environment for testing and targeting an attack. In short, it will help you to design your hacking environment. This course, should help you start small. You will benefit from some prior knowledge of the Linux environment first. Do remember that Kali Linux is just a toolbox. The tools are all inside and you will also get to learn them one by one. The instructor says that you can begin this course with any level of knowledge. The course is top-notch and though the instructor’s mother tongue isn’t English, you won’t have a problem following his accent. Key Takeaway: Learn the basics of Python and how to use Python for ethical hacking. Why Python? Two reasons – Python is an extremely dexterous language 5 Reasons Why Python Programming Is Not Useless 5 Reasons Why Python Programming Is Not Useless Python -- You either love it or you hate it. You might even swing from one end to the other like a pendulum. Regardless, Python is a language that's hard to be ambivalent about. Read More and has a simple syntax. The object-oriented language is cross-platform on major platforms. You can write a minimal script and run it without compiling it first. That is, rapid deployment and testing in tech parlance. Also, with some mastery over Python, you can build your own tools. In short, it is a hacker’s language. This is a short introductory course on Python tailored for ethical hackers. You can skim over the concepts in three hours and then take a deeper dive into Python with the other courses available on Udemy. The end goal is to build your own Nmap network scanner and your very own brute force password cracker to perform ethical hacking. This course is strictly for information use only. The course lessons have been designed within a closed network. None of these techniques should be used on public networks as there are serious consequences if you are caught. The above warning comes into effect the second you start thinking of being an ethical hacker. The above five courses are just the first initiation into the never-ending fight for information security. Your end game is to not hack someone’s account but get a job in the information security industry 10 Best Tools & Resources For Researching Information Security Jobs 10 Best Tools & Resources For Researching Information Security Jobs Switching careers is never easy, so we’ve compiled a handy list of resources to help you find, and win, that information security role you’ve been chasing. Read More and act as the shield against the dark forces. Do you have the hacker mindset? What interests you about ethical hacking? Explore more about: Computer Security, Education Technology, Hacking, Online Security.